In the summer we all need some underarm-protection to keep us smelling fresh. It's hot, you're sweaty and deodorant becomes your one-weapon army against the heat. As it turns out, winter is as much of a sweat-factory culprit as its warm-weather counterpart. You're bundled with layers of sweaters and ready to brave the chilly temperatures. Your body freezes as you trudge through wind and snowy-slush only to be blasted with heat upon entering an indoor location. How many of you are layered in such heavy coats and sweaters that the minute you step indoors you start sweating bullets!? The moment you know you're gonna break a sweat is awful. A crowded train car full of people, no fan in sight and beads of sweat ready to cascade down your face. Yummy. I've been combating this icky feeling with some powerful deodorants and I'm happy to report my fellow commuters seem pleased with the results. 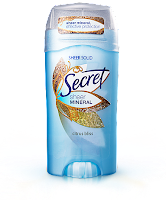 I have two fave brands: Secret and Speed Stick. Secret's Sheer Mineral collection provides (you guessed it) sheer coverage! The deodorant also uses the same odor-fighting technology that Febreze's "Smart Technology" utilizes but don't worry you won't end up smelling like the couch your dog peed on. It will, however, sense your body's chemistry, your level of exertion, stress, and external and internal temperatures and work according to those elements. Who knew deodorant manufactures were such genius mad scientists!? The products also have fresh, clean and fragrant scents-Powder Romance, Citrus Bliss (my personal favorite), Green Euphoria, and Delicate Bloom. I'm so not into perfumey antiperspirants and these are very light and refreshing against the body but in no way overly-scented. Trust. Available at drugstores. Speed Stick Stain Guard for Men is awesome. Unfortunately, I've been schooled on the pleasantries of men's undershirts and the sweat/stain combination that seems to enforce a limited window of opportunity for usage. In other words, guys can only wear undershirts for a short amount of time before they get those weird yellow sweat stains and then it's off to the t-shirt graveyard. 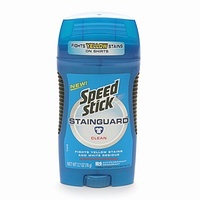 Speed Stick Stainguard does a great job of keeping the stains and residue at bay. Guys can actually wear out their white t-shirts in some other gross boy-way! Imagine that! This stuff is good and my guy grooming expert has given it the official Beauty Buff seal of approval with a very confident two thumbs up. The formula keeps you fresh and provides odor and wetness protection for you and thankfully those around you. Nothing worse than a stinky guy with yellow, wet pit stains. Use this to sooo not be that guy! Available at drugstores. Also check out these hilarious Funny or Die videos presented by Speed Stick and featuring Zach Galifianakis, Sean Penn and Bruce Willis. Deodorant really brings out the LOL's, I guess. 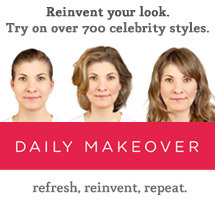 I feel that you need to switch it up once in a while so that your body doesn't get use to one and stop working.